Today I was in Bermondsey, seeing a man about a blog, and instead of going straight home again, I got out at Southwark and walked to Parliament Square. Then I tubed to Victoria, and did some quite strenuous shopping. All that, plus I am getting old. So, now I am now knackered, and am in need of an early night.. Here, picked out almost at random, is a photo I took on my travels, in Lower Marsh. 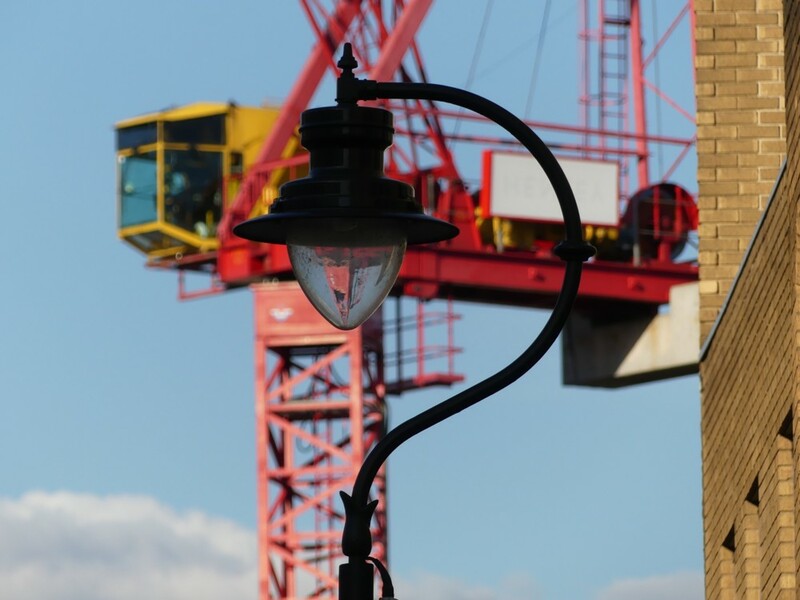 When photoing this photo, I of course had no idea that part of the blurry crane in the background would be visible, less blurrily, at a weird angle, in the street lamp. Like I always say, my camera has better eyesight than I do, and what with me (see above) getting old, that gap has been growing. London street lamps are rather fine, I think. In the middle of London. Not so sure about the outskirts.